Spring is here and instead of sitting inside doing homework we are ready to get outdoors and move while we learn! 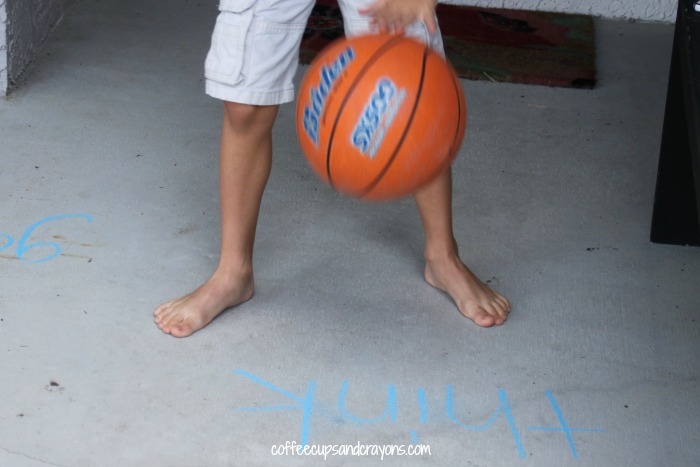 This week we practiced both sight words and dribbling with this simple sight word basketball activity! 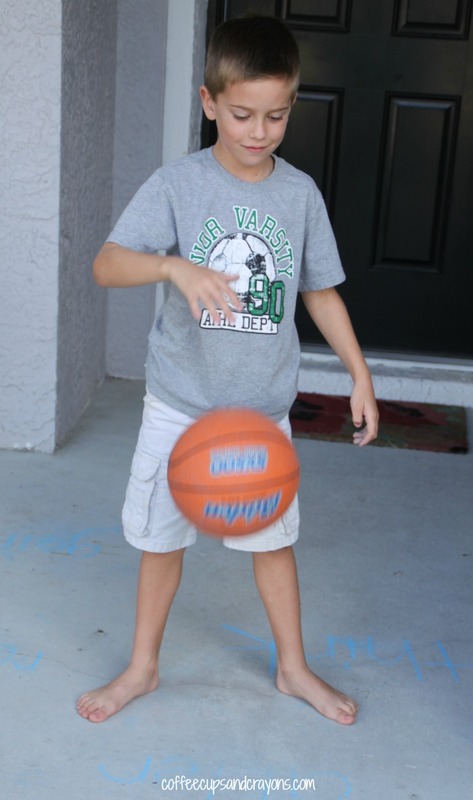 I wrote a bunch of sight words on our sidewalk and got out our basketball. I actually meant to play on the driveway but it was super windy so we played under a cover so the ball wouldn’t blow away. I think having more space to run around a little would have been fun, but it totally worked fine in our small one. I called a word and my kindergartner dribbled the basketball over to it. Once he was at the word he tried some different dribbling techniques (like on one foot) and then I would call out a new word. At the end he dribbled all around on his own calling out the words as he passed them! This was an easy and fun way to practice sight words, but super hard to take photos of! If you try it and get a better shot share in on my facebook page for everyone to see. 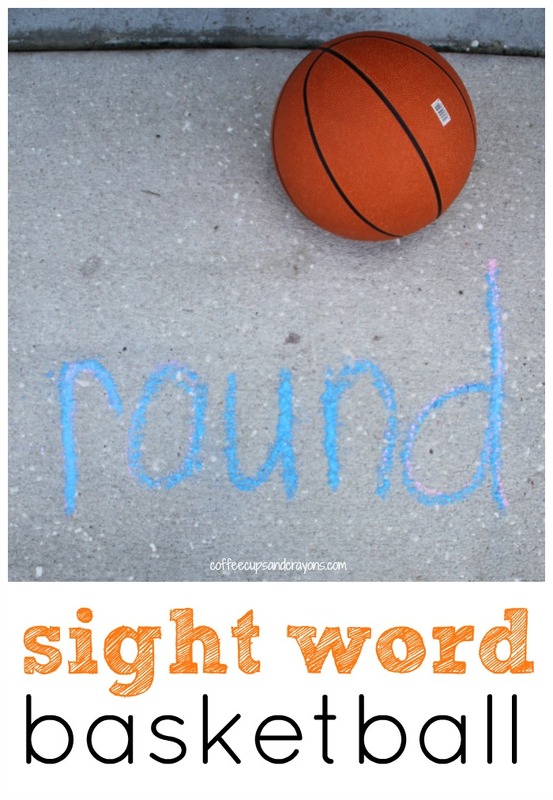 Don’t forget we have tons of active sight word ideas if you need them! Love the outdoors combined with literacy! Makes learning so much easier for us Jodie! Love this idea! What a great way to reinforce sight word learning. Perfect for kinesthetic learners! Okay, maybe we can do this… when it’s not THIRTY DEGREES outside. 30??? Someone needs to tell the north that spring is here!!!! Anything to get some energy out!!! Simple and effective! Thanks for linking it up, Megan!